Carbohydrate cravings are difficult to deal with, especially when you are trying to maintain a low carbohydrate way of life. However, carbohydrate cravings are not just a matter of will power. As Dr. Atkins points out in his book, carbohydrates produce a flood of insulin and a rise in blood sugar. There is indeed a physical trigger for carbohydrate cravings, and it is one of the reasons that it is so easy to develop a high-carbohydrate, low protein way of eating. There are many signs of physical carbohydrate cravings. You will experience a compelling hunger for carbohydrate rich foods. Overtime, you will develop a growing need for starches, snack foods and sweets. 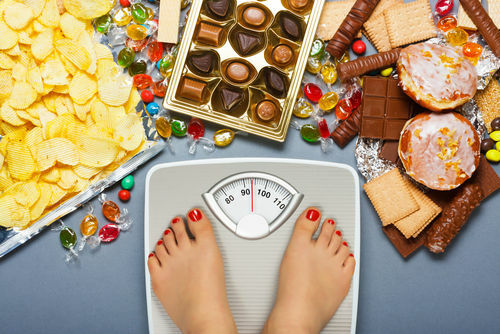 Additionally, you may experience cravings and weight gain after using some of the carbohydrate act-a-likes such as sugar substitutes and alcohol. High carbohydrate foods are everywhere, which makes the cravings even harder to overcome. Eating the high-sugar, refined starch foods will feed your cravings and create more, much like a drug habit. In fact, high levels of carbohydrates produce high levels of the brain chemical seratonin, which is the chemical found in Prozac and other anti-depressants. So eating high levels of carbohydrates is self-medicating. People with low levels of seratonin are prone to using carbohydrates like a drug. Tension and stress can also lead to overeating carbohydrate-laden foods. When we are tense, the adrenal gland creates more cortisol. Cortisol is a hormone that stimulates production of a brain chemical that causes carbohydrate cravings. It also stimulates insulin, which leads to blood sugar dips and more fat storage. Considering all of these factors, it may seem impossible to live on a low-carbohydrate diet. However, following the Atkins plan is one of the best ways to break the cycle of carbohydrate addiction and take back your life and your health. The Atkins plan helps you take control of your cravings and rid yourself of years of damage caused by eating too many carbohydrates. While on the Atkins diet, you may experience some carbohydrate cravings from time to time, especially during the initial phases of the diet. However, these will lessen as your body becomes more used to eating a protein-centered diet. In order to keep your cravings in check, eat small meals or snacks that contain protein every few hours. This will keep your blood sugars stable and avoid the “crash” you feel when you go hungry. Skipping meals will cause drops in blood sugar and leave you craving sweets. Protein and fat, which are the focus of the Atkins plan, will give your body extended energy. Make sure you are getting enough levels of the essential fats. Sometimes an Omega 3 fish oil supplement will help stave off carbohydrate cravings. Cravings for foods can sometimes be caused by dehydration. It’s a good rule of thumb to drink a glass of water before reaching for any type of snack. Sometimes thirst can mask itself as hunger. When your body is properly hydrated, it will run more efficiently and you will see a decrease in cravings. Recognize that there is a physical addiction to carbohydrates that will need to be broken. Don’t worry if you feel overwhelmed with cravings for carbs after the first few days on the plan. This is normal. Your body is used to running on a diet full of sugar and carbohydrates. It will take some time to adjust to this new way of eating. Normally, these feelings don’t last more than the two-week induction period. Stay committed to this new way of eating and you will see the benefits quickly. 0 Response to "Carbohydrate Cravings and the Atkins diet "